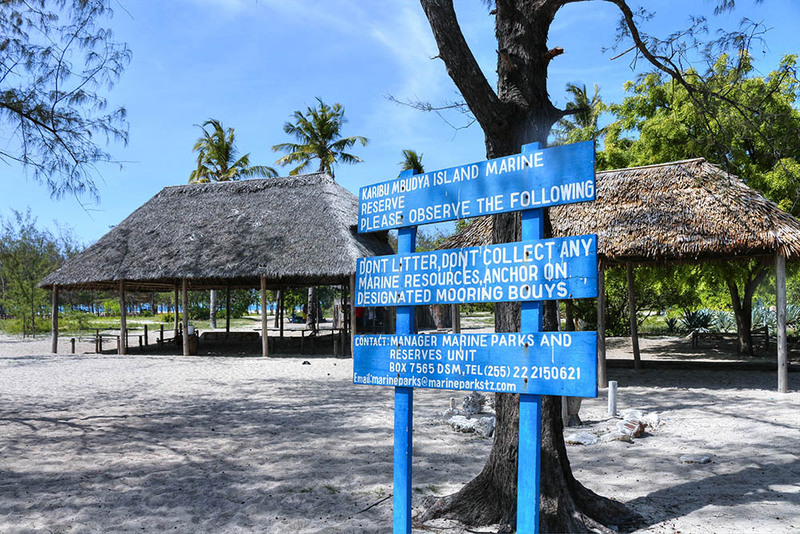 I traveled to Dar es Salaam Tanzania in December last year, the culmination of a trip that I had been thinking of the whole of 2016, after a brief requisite stopover on my way to Zanzibar back in 2015. 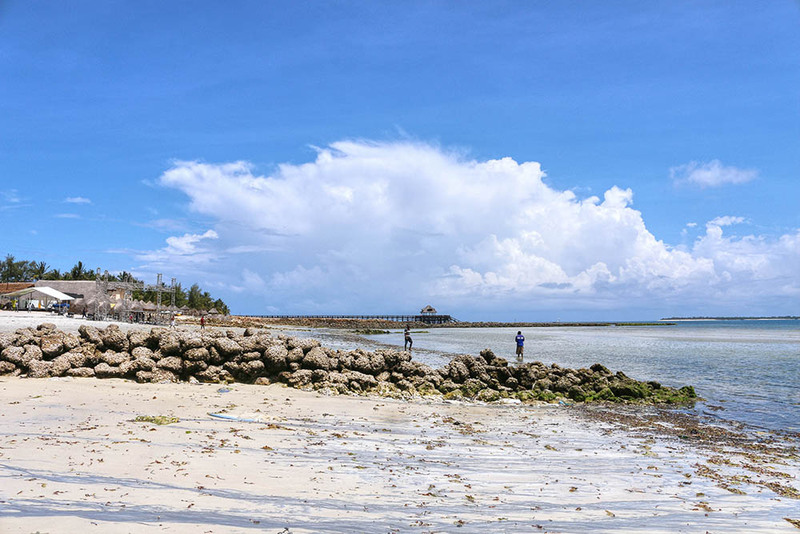 For those visiting Dar es Salaam, Mbudya Island is an ideal day trip; a brief trip from Tanzania’s largest city to a tropical island paradise. A welcome break from the sweltering, exhausting and frenzied bustle of the city. 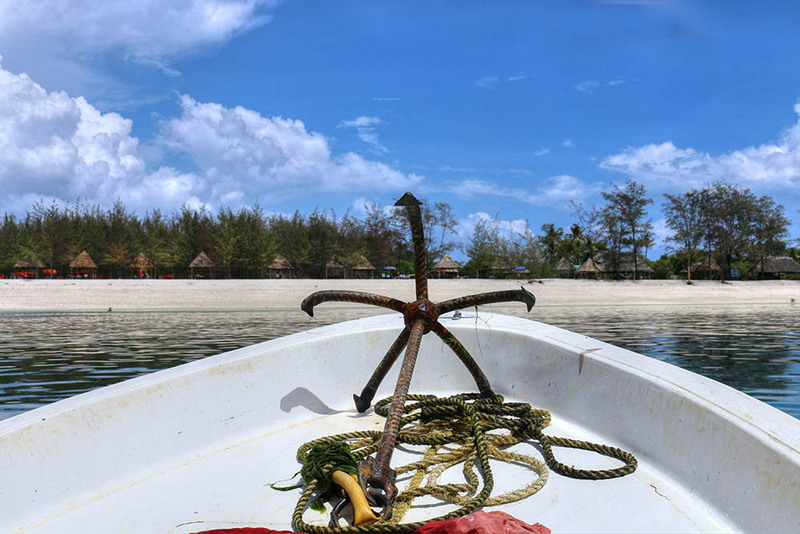 To get to Mbudya Island you first need to get to Waterworld. I’d say take an Uber, they are the most affordable way to get around in Dar es Salaam but only if you’re a patient person (oooh I got words for my uber struggles in Dar – but I’ll leave that for another post). You can also use an ordinary taxi or a Tuktuk. 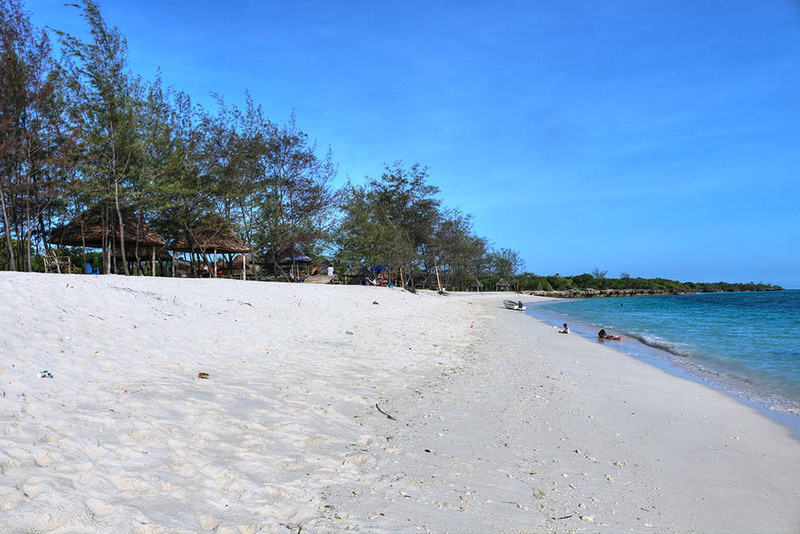 The trip to Mbudya starts on the beach, next to a stretch of tourist hotels on a hired boat. 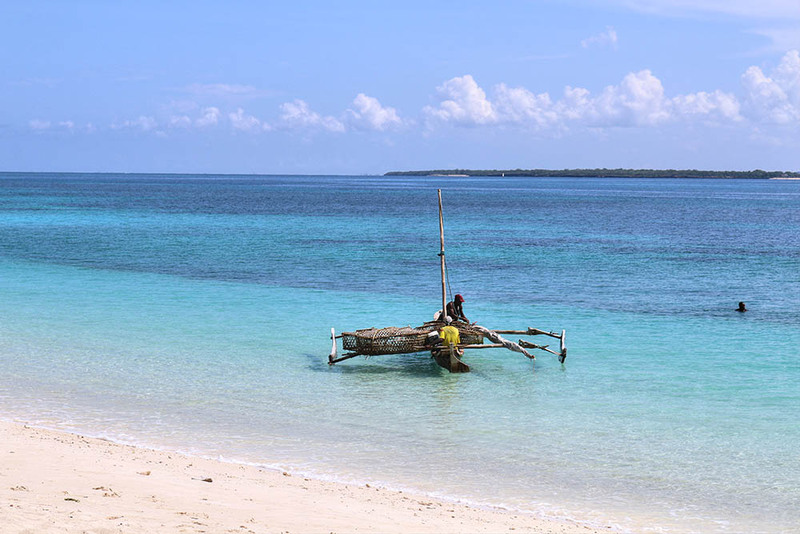 The average cost per person to get to and from the island is Tshs 10,000 (we paid Tshs 12,500 pp). It took about 15 minutes to reach Mbudya Island. We were a total of 6 people on the boat and we all agreed when the boat would come back to pick us, then went our separate ways. Once you get onto the island, you come to the realization that you have to pay for literally everything. 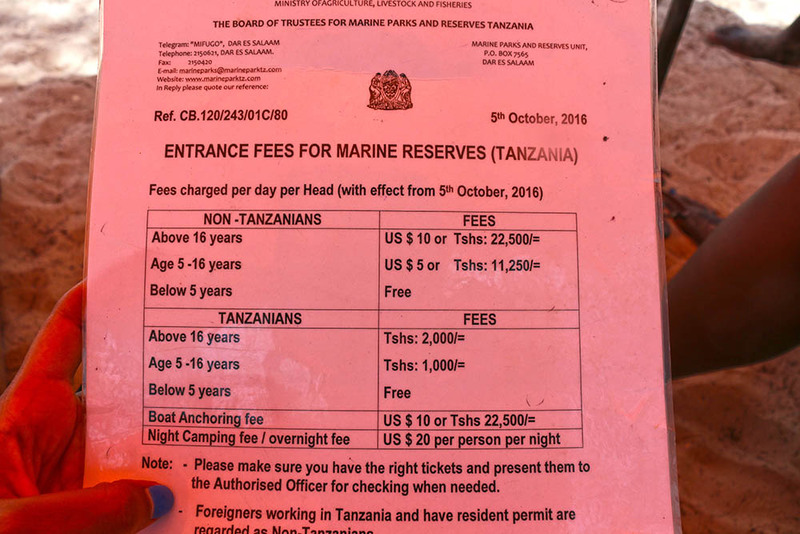 You will pay for being on the island (it is a marine reserve) Tshs 2,000 ($0.89) for the locals and Tshs 22,500 ($10.06) for foreigners. That price tag had us (I was with my friend Wendy) pretending to be locals. Of course our accents gave us away so we reluctantly paid the amount. If you want to seat in the shade then you have to pay to rent a Banda (a small open hut). The banda cost is Tshs 15,000 ($6.71) and seats about 4-5 adults on 2 seats plus a hammock made out of fishing nets (very very uncomfortable). 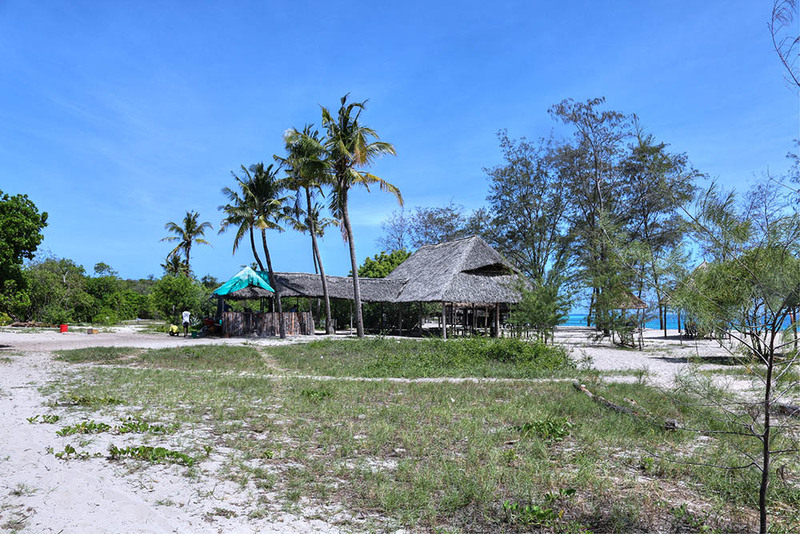 I’d looked up Mbudya Island on TripAdvisor before the trip and couple of reviews stated that it was better to carry your own food and drinks which is exactly what we did. You can get food at the island but all the reviews said the wait for the food was far too long. In fact while there I heard one of the people complain how they had been waiting for their food for more than an hour. 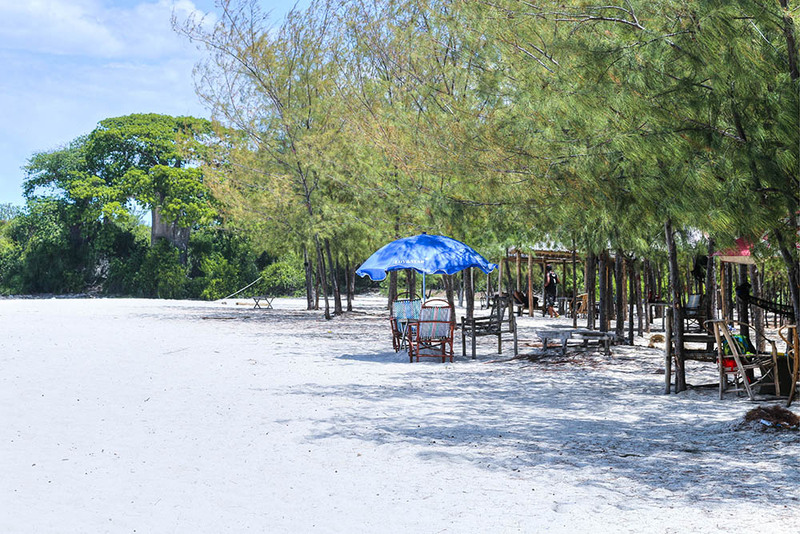 There is a small makeshift kitchen by the beach and that is where food is prepared. A meal of chips + lobster or chips + fish will set you back approx. Tshs 15,000 ($6.71). If you decide to carry your own food and drinks it would be a good idea to carry a cooler box with ice to keep your drinks cold. Apart from the kitchen the only other building on the island is the toilet. Once we got on the island there is not much we did except relax and swim. I would advise you visit on weekday, obviously to avoid the crowds. We did visit on a weekday but as luck would have it, there was a family right next to us who had brought along speakers and the music was obnoxiously loud, a moment later joined by a group of teens who were equally noisy. The loud music notwithstanding, the beach was indeed the picture post card place; clean, with the clearest turquoise water I have ever seen and whiter-than-white powder sand. 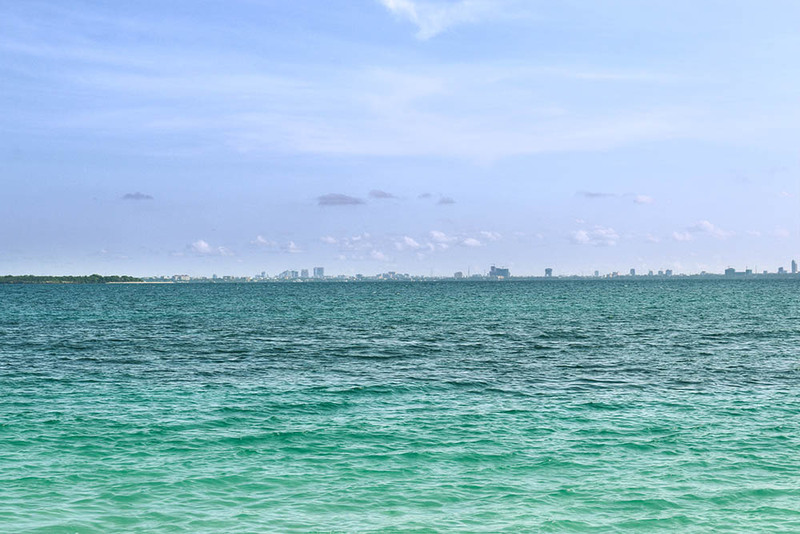 I could see at least four shades of blue in the water, and walking closer on the soft white sand, I could see the base of the sea. The ocean has never looked more inviting and had me in my swimsuit and in the water minutes within our arrival. If you want to swim the staff on the island there will give you instructions on which areas are safe. The water is mostly calm and safe for people who are not strong swimmers so long as they stay close to the shore. The heat was glorious, but intense. The water was perfect, cold and refreshing, just the right temperature to cool you off in the heat. It was time to soak up the experience. 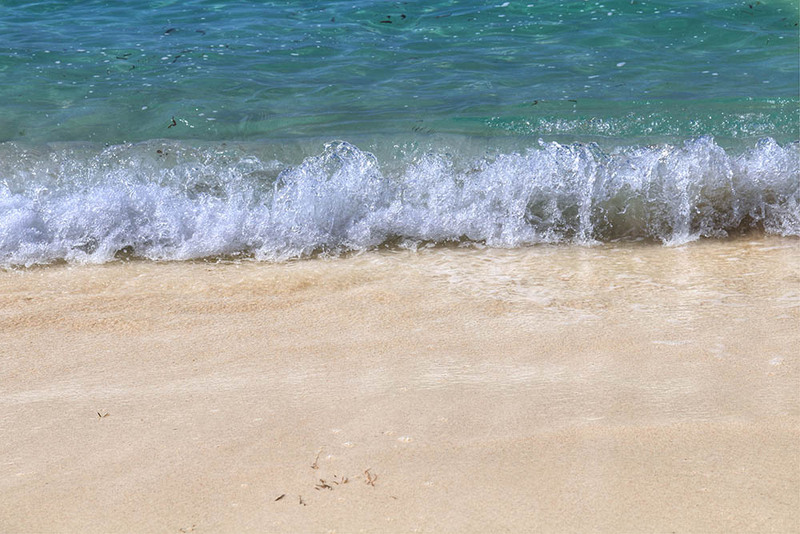 Frolicking along the white sand, lying on the beach with feet buried in the warm, powdery sand, listening to the rustle of palm trees swaying in the wind and the hush of the foaming waves gently lapping on the shore, feeling the cool water rush in, over us and around us. It’s no surprise that this is where we spent most of the time while on the island. We had left our belongings on the banda without any worries, I find Dar es Salaam to be quite a safe (at least in comparison to Nairobi). 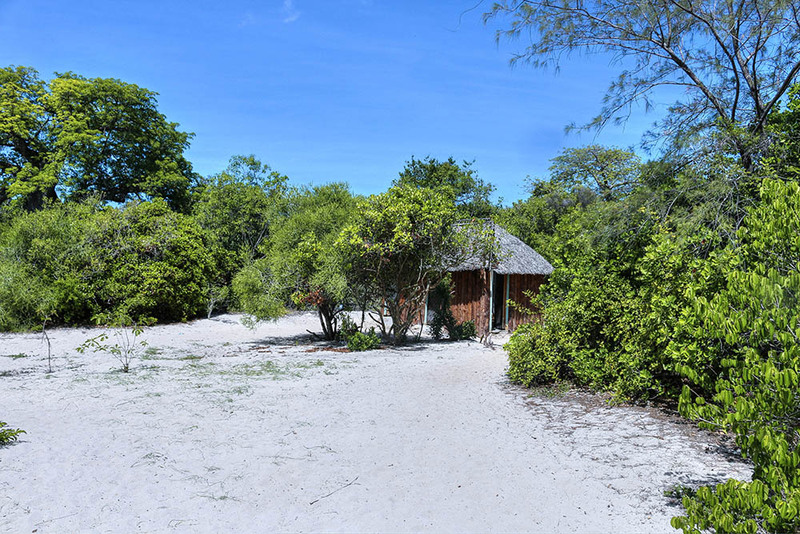 Of course there is more to Mbudya than just lazing in the tropical sun! 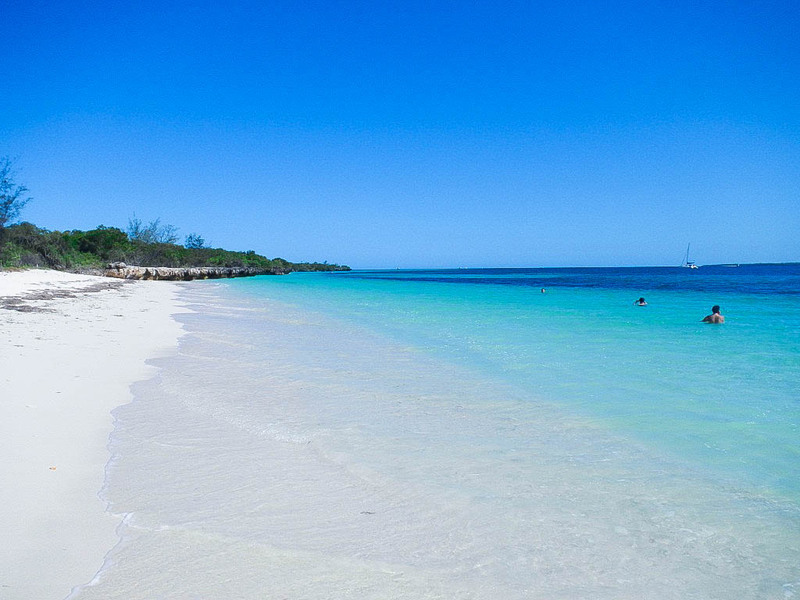 The waters surrounding the island are also rich full of coral and aquatic life to explore – excellent for snorkeling. The marine life is rich and varied; dazzling coral walls, sea turtles, manta rays plus schools of brightly colored tropical fish. If interested staff on the Island can organize (for hire) snorkeling gear for you. Finally it was time to leave,I called the owner of the boat and he came to pick us up. We left that just as the day was turning to dusk, leaving the little oasis of tranquility while taking in the panoramic views. I was there for just a day, but it was worthwhile break, an opportunity to recharge from the buzz of the city. 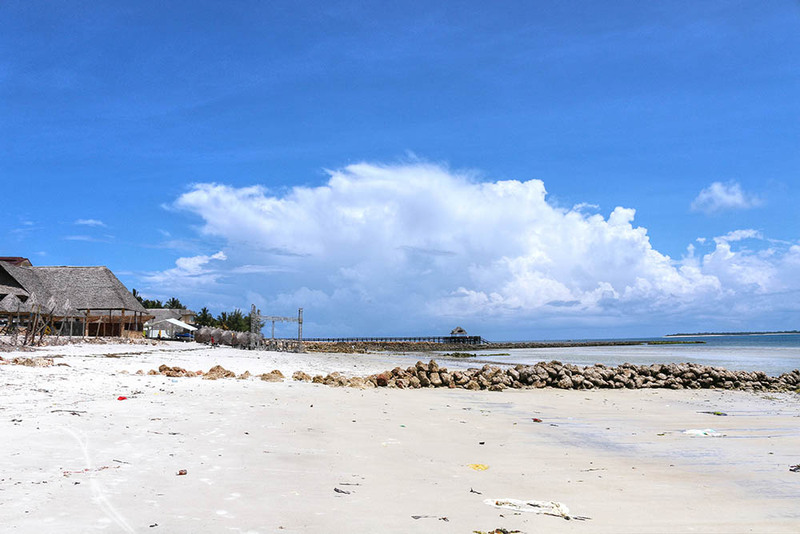 There is a reason why is the most popular destination in Dar on TripAdvisor. 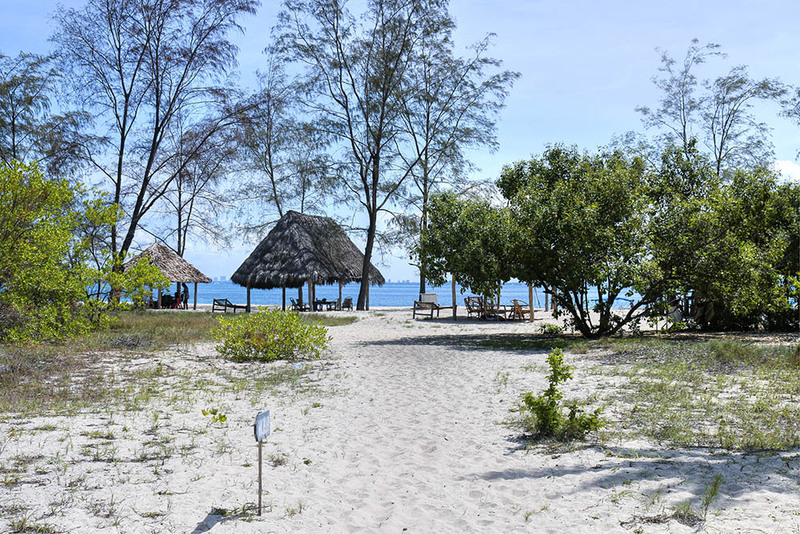 Mbudya Island felt like a mini paradise island, that I would highly recommend to anyone visiting Dar. That water is absolutely pristine! I’m dreaming of it now! I’ve had enough of winter/spring gloom! #wkendtravelinspiration! This island looks nice and secluded and quiet (except for the loud music and teens next to you). Good on you for bringing your own food. I know I wouldn’t want to wait that long to eat. I’m very cranky when hungry, I would have hated myself if I hadn’t carried snacks to feast on. How beautiful place! The views are stunning! This is my kind of place! Blue seas, palm trees, beautiful beaches, sunshine and nothing to do but chill out. I agree with you it’s paradise! #Wkendtravelinspiration. It is my kind of place too. The island looks to be in a quite natural state which I like. I’d love to snorkel there and see if it is like snorkelling on our coral reefs here in Australia. I’d wanted to snorkel as well but the reviews on TripAdvisor weren’t enthusiastic about the experience so I decided to pass on it. 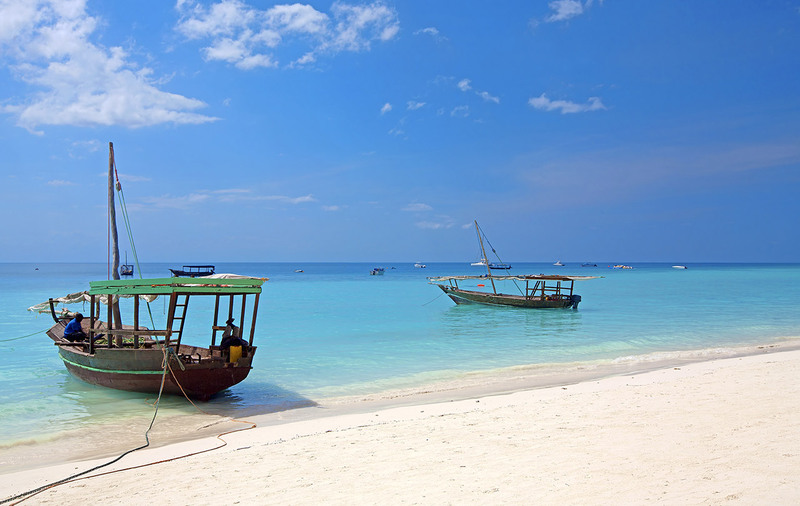 Which part of Tanzania are you planning on visiting? It had never bothered me until I left Kenya. I now sympathize with international tourists who want to visit our national parks. Looks lovely – very remote and clean water! look at that blue water! it looks like a really lovely place to have a 1-day getaway. I noticed the absence of people in most of your photos. Perfect! This break is much needed after having that rough week. Overall, I loved this place. I do offer Mbudya trips under MV LOKK GROUP. 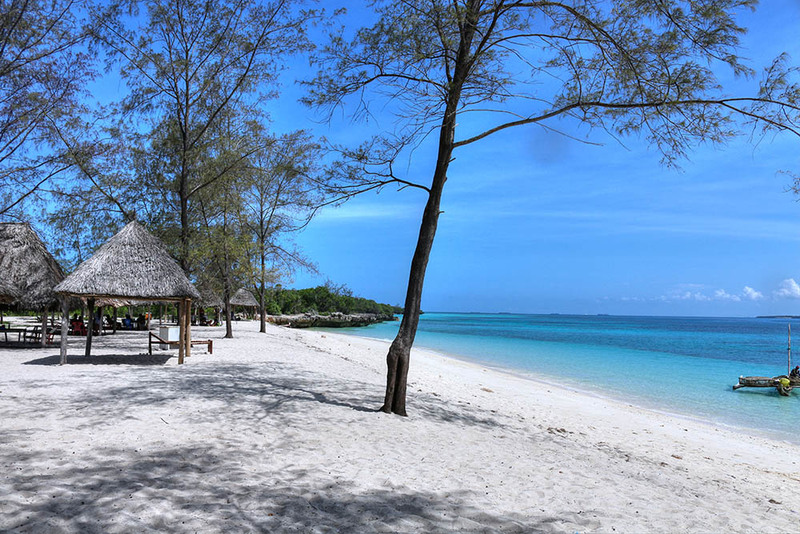 We are at KIBO BEACH next to RAMADA HOTEL mbezi beach before ESCAPE 2. We have safe parking, life jacket, first aid kit and well trained captain. Call us at 0719625566. Most people dont know about the other side of the island – You can take a walk through the island to get there. 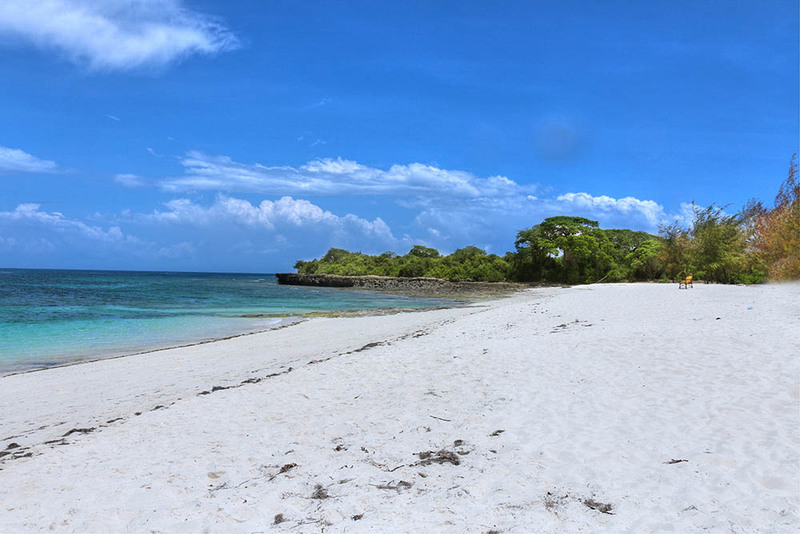 Its more quieter, and the beaches are more clean than what you see in front of the island. Next time ask the park rangers to bring you there. Its part of the park fee so they wont charge you extra. This is a secret location for us locals that foreigners dont have a clue about.